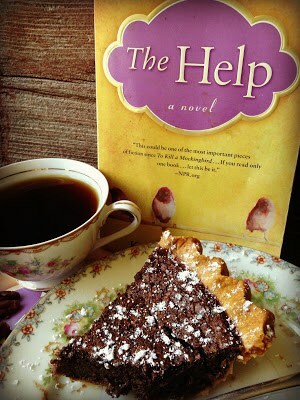 Minny’s Chocolate Pie is from the book “The Help.” By: Kathryn Stockett. If you love chocolate, and who doesn’t, you are going to LOVE this easy-to-make pie! I have made many pies and I can honestly say this is one of the easiest pies that I have ever made and one of the most delicious. 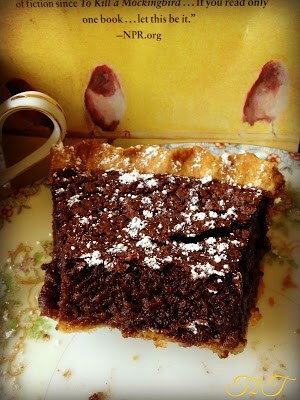 Minny’s Chocolate Pie is wonderful served at room temperature or chilled. It can be served with whipped cream or with a dusting of confectioners’ sugar. Who is Lee Ann Flemming? I did some research and found out that newspaper columnist, Lee Ann Flemming, made 53 chocolate pies during the filming of the movie, including 12 vegan and gluten-free versions. She prepared all of the pies in just one day…Below is the actual recipe that she used to make the chocolate pies for the movie. Lee Ann Flemming has since put her recipe online, bless her little heart, so now we all can enjoy her delicious pie. 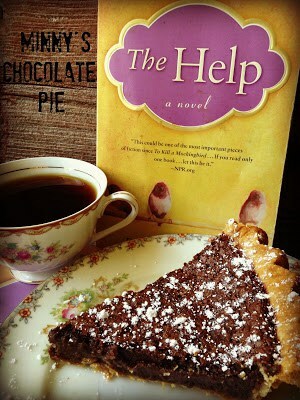 Below is the recipe to re-create Minny’s Chocolate Pie…minus her “secret” ingredient! If you read the book or watched the movie you know what Minny’s “secret” ingredient is. Her “secret” ingredient was in the pie she baked for Hilly….the very same pie that Hilly ate…Of course, this recipe doesn’t include her “secret” ingredient and we’re all thankful for that! Not sure what I’m referring too? 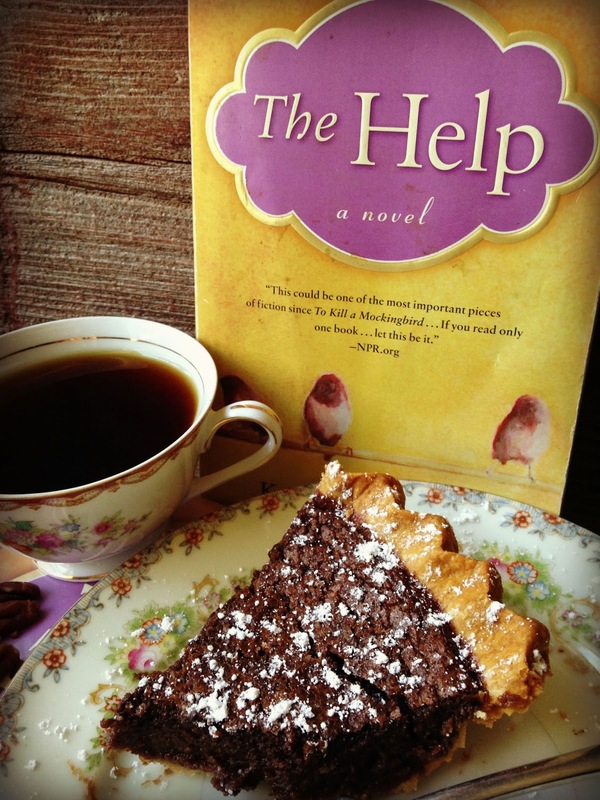 Then you need to read the book or watch the movie….One thing is for certain, you need to make this pie. This recipe calls for using a packaged pie crust. Some pies rely on a good crust, the crust adds to the pie. Some pies need a good ol’ made-from-scratch kinda crust. Not with this pie…with this pie the crust is really insignificant. Why? 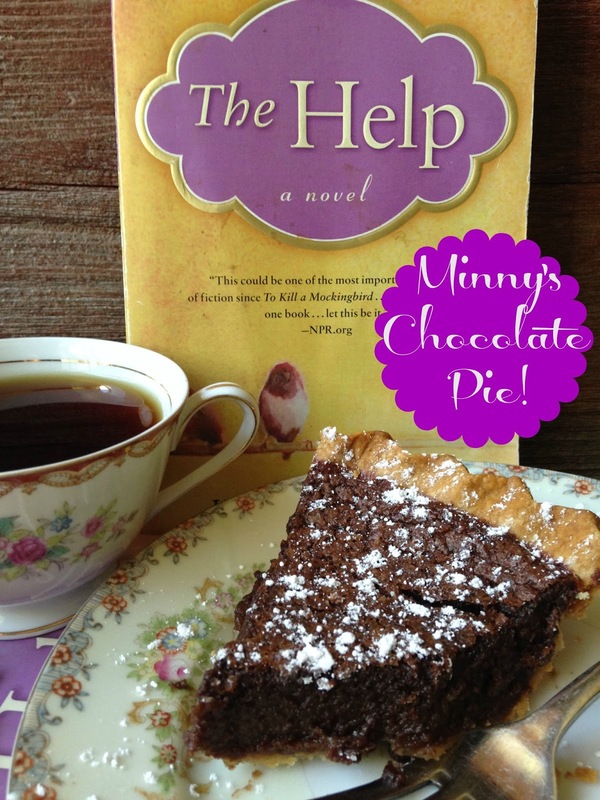 Minny’s Chocolate Pie is all about the Chocolate Filling. Ease the pie crust into a 9-inch pie plate, crimp the edges decoratively. Prick the crust lightly with a fork. Line the crust with foil or parchment paper. Fill with pie weights, dried beans or dried rice. Bake for 15 minutes or until set. Remove the foil and weights. Bake for 5 minutes longer or just until the crust is dry but not browned. Meanwhile, in a large bowl, whisk the sugar, cocoa powder, butter, eggs, evaporated milk, vanilla and salt until smooth. Pour the filling into the baked pie shell. Bake for 45 minutes or until the filling is set around the edges but a little jiggly in the center. Cover the edge of the crust with strips of foil, remove foil halfway through baking, to help prevent over browning. Transfer the pie to a wire rack. Let cool completely before cutting into wedges. Serve with whipped cream or dust the pie with confectioners’ sugar. 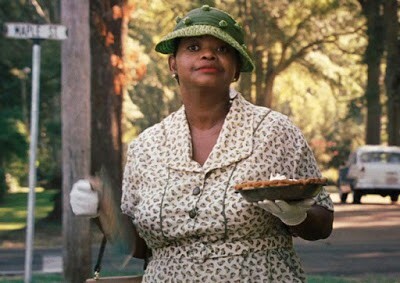 I would really love a nice slice of that Chocolate Pie, it looks delicious. Thanks so much for sharing with Full Plate Thursday and come back to see us real soon!